"Never before have I purchased a software that had SO much after-sale support. I am so impressed with the amount of teaching your company provides to ensure customers are getting the most out of the product! I purchased mine several years ago,	and due to a faulty computer with repeated crashes, I have yet to really explore the software,	but I recently bought a new laptop and installed my software (thanks to the help of	RNK's great Helpdesk team) and I'm looking forward to rewatching the tutorials while	sitting in front of my machines. Thank you again for a fantastic product with SO many	creative possibilities inside!! " FTC-U provides the tools you need to turn your ideas and designs into works of art! 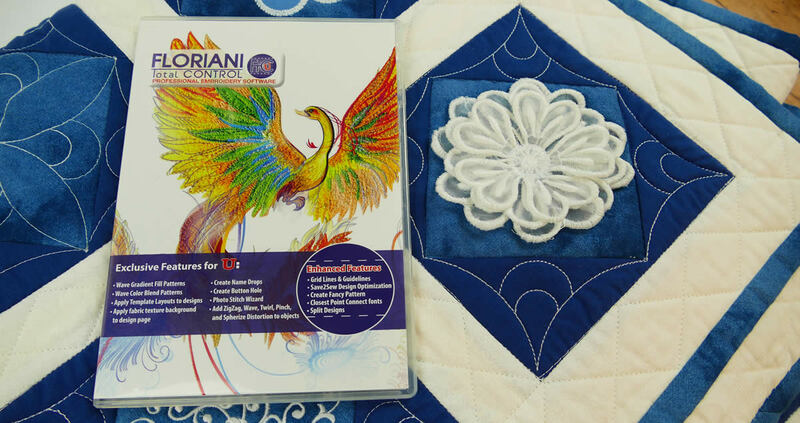 NO COMPETITIOR’S SOFTWARE comes close to the features OR price point of Walter Floriani’s embroidery software. "Just a note, I have owned many software’s through the last twenty years. Floriani is the best and easiest to use. But one of the most important and best part, is the one line videos. I have purchased so many programs and have had no lessons or support with. I live in a rural area. Now I have finally gotten software that my dealers teaches and if I can't make the classes I can go on line. Thank you!" This form is for REVIEWS ONLY! For general inquiries, customer service or support please contact us! Love this program. If you have a problem, email them and you have answers. I am totally new to digitizing and this program is awesome. I just love, love, love this software. I am new to the digitizing world and Floriani is by far the best program I have seen. It's easy to use and all my finished embroidery projects look very professional. All the support and education is Phenomenal. I highly recommend this program to all embroidery enthusiasts (of all levels) looking for an easy, powerful program to take their embroidery skills to the next level! I am a beginner to embroidery and this software program. I have asked a lot of questions and get immediate responses all of the available resources on the website. I am looking forward to being able to do all of my big embroidery ideas with this software program.